G3 Riveted Jons offer solid performance with lifetime value. They include the built-in durability of a one piece hull, high-strength one piece heat-tempered extruded ribs and rugged desert brown enamel finish. 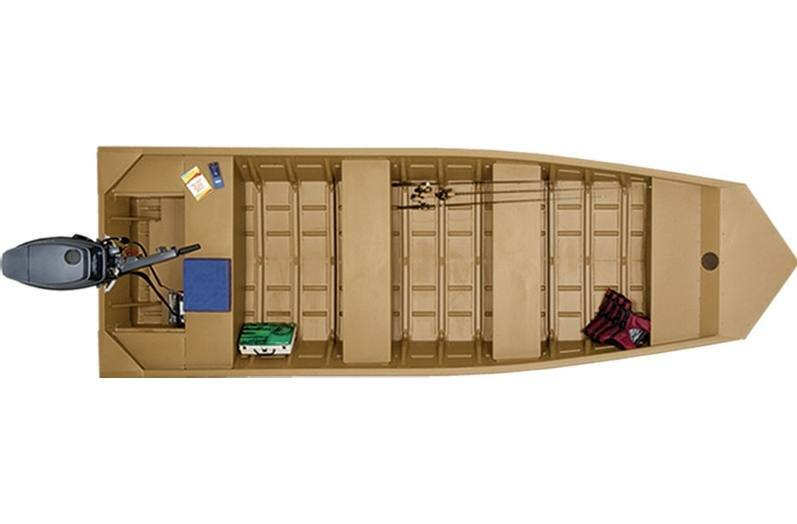 G3 Welded Jons offer the rugged reliability of .100 gauge marine-grade aluminum, high-strength one piece heat-tempered extruded ribs, textured non-skid deck, reinforced corner and transom braces, stamped-in keels and bow eyes with durable enamel finish in desert brown. *Rebates in effect at participating dealers only. 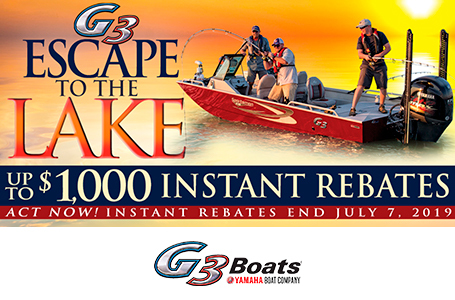 Purchase a new, in stock (unused and not previously warranty registered) G3 Boats or SunCatcher Pontoon package between 4/15/19 and 7/7/19 and receive a Escape to the Lake Rebate off the participating dealer's retail price ranging from $250 to $1,250 depending on the model purchased. Rebates end 7/7/19. Escape to the Lake Promotion valid in U.S. and Canada. This promotion offer is void where prohibited by law. Some optional equipment shown in some photographs. No model substitutions or rain checks. Not redeemable for cash. G3 reserves the right to change or cancel this promotion at any time.